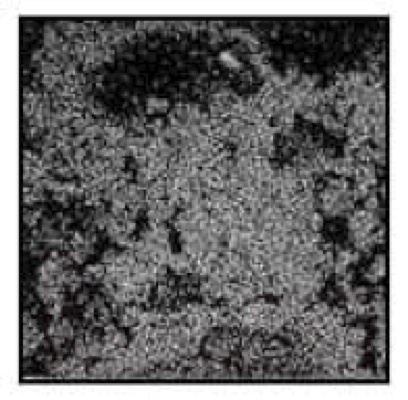 In an electron microprobe, a one-micron electron beam scans the surface of a mineral specimen to detect a specific element or to determine the elemental composition at the spot under the beam. Locate valuable or hazardous elements occurring at low levels or as substituting ions in minerals for which they are not an essential constituent. 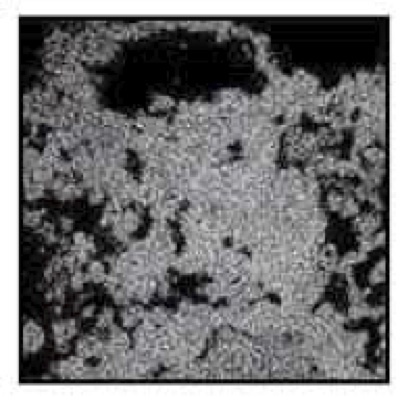 The following example illustrates a problem that was solved with the electron microprobe. For some copper deposits, the extraction obtained by acid leaching is frequently not as good as expected. One of the primary reasons is that copper sometimes occurs associated with iron oxides in acid-insoluble form. This association is illustrated below by means of backscattered electron and x-ray images of the elements of interest. 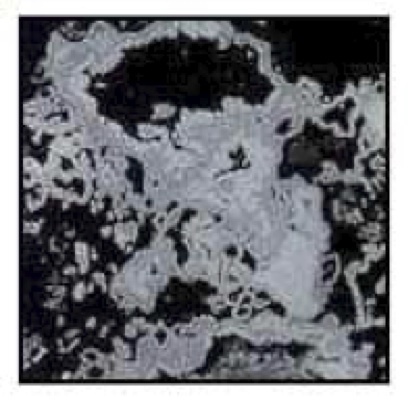 This image shows a goethite (FeOOH) particle in an oxide copper ore. Areas of greater brightness correspond to heavier elements; darker areas correspond to lighter elements. The structure of the grain is typical of goethite derived from the oxidation of sulfides. The spatial correlation between copper and iron occurrence illustrates a submicroscopic, perhaps structural, association of copper with the hydrated iron oxide. This copper would not be recoverable by conventional leaching. In a standard analysis for acid-soluble copper and sulfide copper, the copper associated with hydrated iron oxides is frequently misinterpreted as sulfide copper.